Located in the northern Highlands, the position geo – political, geo – economic importance, natural resource abundance,infrastructure has been gradually upgraded synchronization, Kon Tum has benefits escape from poverty, economic development in the direction of industrialization and modernization. . .
Survey, analyze and evaluate overarching, comprehensive natural conditions and economic characteristics – social as an important basis for Kon Tum development strategy consistent, efficient exploitation the advantages, potential available, a harmonious combination between developing internal resources and attract external resources, create synergy in the process of development and integration. Terrain, mountain, about 2 out of 5 the area of ​​the province, including the hills immediately strip 150 upwards slope. The mountain in Kon Tum by metamorphic rocks formed by ancient should have blocks as block Ngoc Linh (with 2,598 m high peak Ngoc Linh) – cradle of many rivers flowing in Quang Nam, Da Nang as the Thu Bon River and Vu Gia River; Quang Ngai flows as Tra Khuc River. 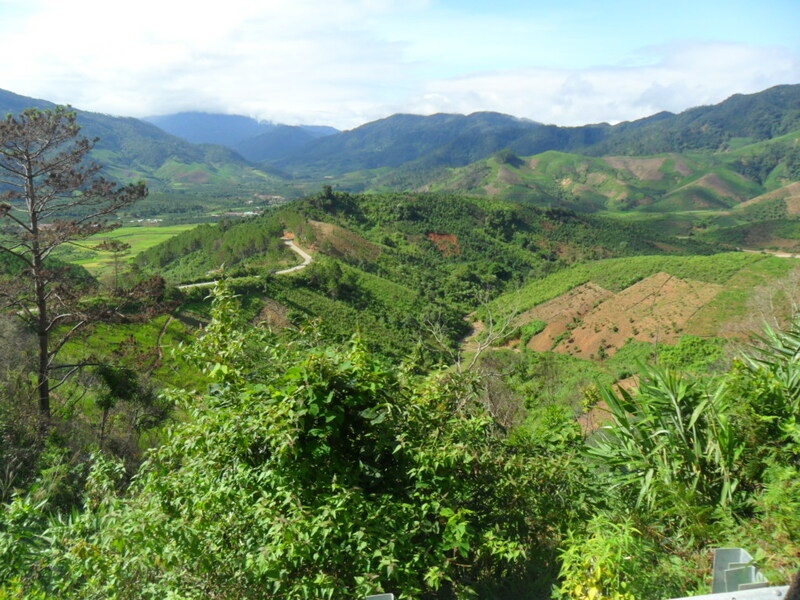 Instant alpine terrain strip distributed mainly in the north – northwest fled to the eastern province of Kon Tum. Moreover, Kon Tum has some mountains such as Bon tops San (1939 m); tops Ngoc Kring (2,066 m). Cleaved surface terrain rugged, forming narrow valleys, slots and streams. Terrain concentrated mainly in the form Sa Thay district westward tilt and lower toward the southwest, in between hills and mountains are Chumomray. Valleys: located along the Po Ko river going south of the province, trough-shaped lower toward the south, the valley has a wavy hill as Dak Uy, Dak Ha and there is much room flat surface as the city of Kontum. Sa Thay valley is formed between the mountains stretching to the east along the border with Vietnam and Cambodia. Plateau: Highland Kon Tum province Konplong between rows and rows Ngoc Linh Khe altitude of 1,100 to 1,300 m, this is a small plateau, running northwest – southeast. Climate: Kon Tum under the tropical monsoon climate plateau. The average annual temperature in the range of 22 to 230C, temperature oscillation amplitude of 8 to 90C. Kon Tum has two seasons: the rainy season starts primarily from April to November, dry season from December to March next year. Every year, the average rainfall of about 2,121 mm, the highest annual rainfall 2,260 mm, 1,234 mm in the lowest, highest rainfall month is May 8. The dry season, primarily wind north east; rainy season, mainly wind southwest. Annual average humidity ranges between 78 to 87%. Air humidity is highest month in August to September (90%), the lowest month in March (around 66%). Mineral Group for production of building materials: This very diverse group, including: lighting (bricks and tiles), construction sand, gravel, marble, limestone, granite, pozzolanic, …. Mineral Group Sound insulation materials, thermal insulation and environmental remediation, including diatomite, bentonite, mainly concentrated in the city of Kon Tum. Groups refractory minerals: include sillimanite, dolomite, quazit focused primarily on Dakglei district, Dak Ha, Ngoc Hoi. Fire mineral group: include peat, concentrated mainly in the city of Kon Tum, Dak Ha district, Dak To district. Mineral group of ferrous metals, nonferrous metals, rare metals: include manganese in Dak Ha; tin, molybdenum, tungsten, uranium, thorium, concentrated mainly in Dak To, Dakglei, Ngoc Hoi, Konplong; bauxite concentrate mainly in Konplong. Mineral gemstone groups: include ruby, sapphire, opalcalcedon concentrated in Dak To, Konplong. Alluvial soil: three kinds of soil is alluvial soils are alluvial, alluvial stained, outside the stream alluvium. Grey soil: two types of land is land and acid igneous gray on gray on old alluvial soil. Golden Land Group comprises six main types of soil on ancient alluvial gold brown, yellow red soil on magma acid, yellow red soil on clay and metamorphic rocks, reddish brown soil on weathered basalt, sandstone soil and yellow on purple brown soil on basalt. Mountain yellow humus Group comprises five main types humus soil where Potzon chemical yellowish, yellowish loam over clay and metamorphic rock, magma red-brown loam and neutral base, yellow red loam on igneous acid. Team Valley land: only one soil type was empty land sloping valleys converge. Sesan: by two main branches of the Po Ko and Dak Bla. Po Ko Branch 121 km long, originates from the south of the massif Ngoc Linh, from north – south. This arm is supplied from springs DakPsy 73 km long, originated south from the mountain Ngoc Linh Ngoc Lay Commune, Mang Ri, Dak To district. Dak Bla 144 km long branch rooted Ngoc Krinh Mountains. The river and other streams: the northeast provinces of Tra Khuc River watershed poured in Quang Ngai province and the north of the headwaters of two rivers Thu Bon and Vu Gia flows Quang Nam, Da Nang. 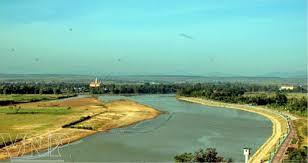 There is also Sa Thay River originates from the mountain Ngoc Rinh Rua, from north – south, roughly parallel with the Cambodian border, poured into the Se San. Overall, water quality, potential, … of surface water to facilitate the construction of hydropower and irrigation. Underground water sources: groundwater resources in Kon Tum province has potential industrial and C2 reserves of 100 thousand m3 / day, especially at depths 60-300 m with relatively large reserves. Moreover, Dak To district, also has 9 points Konplong have hot water, able to exploit and use as a beverage and healing. Mixed tropical closed forest and broadleaf trees: this is the typical forest type of Kon Tum forest, mainly distributed in the altitude of 500 m, which in most districts of the province. Leaf tropical moist forest: there is most often distributed in the province and along the river. Closed subtropical forest: distributed in the high mountains. Dipterocarp dry woodlands (dipterocarp forests): mainly distributed in Ngoc Hoi district, Dakglei district (along the border with Vietnam, Laos, Cambodia). Plants: according to a survey initially, Kon Tum province has more than 300 species, belonging to 180 genera and 75 families than flowering plants. Gymnosperms have 12 species, 5 genera, 4 families; angiosperms have 305 species, 175 genera, 71 families; monocots have 20 species, 19 genera, 6 families; 2 tree leaves sprout 285 species, 156 genera, 65 them. Among them, the most they are legumes, oil them, they camphor, castor them, they virgin, they cashew, oval and they fill them. Overall, vegetation diversity in Kon Tum, showing different types of forest in the background landscape of tropical rainforests overall monsoon has 3 elevations, different low: 600 m or less, 600-1600 m and over 1,600 m. Currently, the most prominent is still the jungle, in the jungle with the mainstream population is two-leaf, chestnut, re, Pomu, azalea, sour, … at an altitude of 1500-1800 m mainly through three leaves, yogurt, nuts, re, longing, Chec … Referring to forests in Kon Tum to mention Ngoc Linh mountain with medicinal plants such as ginseng quarter Ngoc Linh ginseng class, Polygonum and cinnamon. In recent years, the forest area of ​​Kontum shrunk by wars, illegal logging and other forest products. But overall, the Kon Tum province is still more precious woods and forests have high economic value. Animals: very rich and diverse, including many rare species, including 165 species of birds, 40 families, 13 orders, enough most of the birds; 88 mammal species, 26 families, 10 orders, 88% of mammals in the Central Highlands. Most notable are herbivores, such as elephants, bison, bull, buffalo, deer, roe deer, … In particular, there are elephants in the southwest of Kon Tum (Sa Thay district). Banteng have: gaur (or children min) Bosgaurus scientific name often appears in the jungles of Dak Sa Thay district and; Black cattle Teng science Bosjavanicus name. In recent years, in Sa Thay, Dak, Konplong tiger appeared, this is a good sign of the existence of these precious animals. In addition, there are forest Kontum bears, bear, wolf. Besides the animals, Kon Tum has many kinds of birds you should be protected as the ocellata, pheasants and pheasant feathers mottled purple. In forest conditions abused, illegal hunting is increasing, fluctuating environment has affected the survival of the animals, particularly rare species. Kon Tum province has planned the construction of primary forests and put into the national ranking for mining planning, research and protection, while promoting dissemination and education, raise awareness of security protection and fauna in particular, the ecological environment in general.